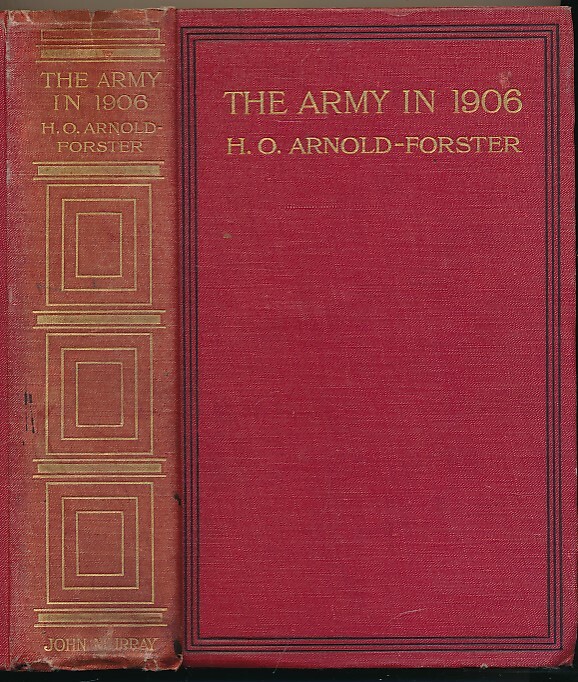 Barter Books : Arnold-Forster, H O : The Army in 1906. A Policy and Vindication. 230 x 150 mm (9 x 6 inches) - xviii, 568pp. G+ : in Good condition plus without dust jacket. Cover lightly bumped. Spine with slight fading and minor marks. Contents tight.